And on the thirty-third day, Roc rested. Quite honestly, I could have used the rest. Instead, I swapped out my rest day as I was taking a very special lady planetside for a few days during my well earned leave time. I’d always liked beautiful women, and she was all that and more – she put up with my crap and still let me touch her. What can I say? I’m a romantic at heart. Bulk Chest, one of my favourites. I loaded up the weights, heavier than last time, and proceeded to enjoy the intense workout. I even ignored the young capsuleer that walked in halfway through. I was in a “pilot only” gym, hoping to see a smaller crowd, and it had been only me up until that point. Still, if he left well enough alone, I could simply finish my workout then go enjoy my weekend. The pilot was better built than me, and younger, but it was quickly evident after watching a couple of his very sloppy sets of three that he was part of that new generation of pilots that simply purchased a muscular clone. It was the latest rage. Why earn what you could simply buy? His skin was still pod smooth, and I smirked in amusement as he struggled through his useless movements. Kids. I returned my focus to finishing my own workout, not wanting to completely break my rhythm and focus, and was using ten pound dumbbells when I noticed the kid was already finished and leaving, his numerous dumbbells scattered all over the gym floor. Oh how I hated the ignorance and selfishness of youth. I stood up quickly, and being between the exit door and the kid, tried to speak politely regarding the issue. “It’s common courtesy to put your weights away when you’re finished.” I mentioned, again, trying to be nice. I was a nice guy after all. “Go back to your ten pounds, old man.” he replied derisively, glancing towards the dumbbell still in my hand. Now I have to find a new gym. It’s amazing what a mere ten pounds can accomplish when beat into someone’s face repeatedly. 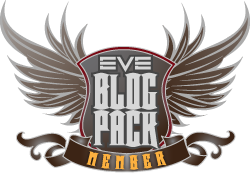 This entry was posted in Roc's Ramblings and tagged bodybeast, EVE Online, Roc Wieler. Bookmark the permalink.